Peppermint is a hybrid perennial plant that is a cross between watermint and spearmint. In addition to its minty scent, Peppermint has a great deal of nutritional value. For example, it contains minerals, vitamins and trace elements such as potassium, calcium, copper, iron, manganese, and vitamins A, B2 and C. It also contains a high menthol content, which explains why it has been used by humans for medicinal and flavouring purposes for thousands of years. Many other products also use peppermint for its minty scent, such as soaps, moisturizers, shampoos and shower gels. What are the Benefits of Peppermint? Studies have shown that Peppermint can help with a number of health conditions. It is known to have analgesic, anesthetic, decongestant, astringent, antiseptic, antibacterial, antimicrobial, antispasmodic, and carminative properties. Therefore, it has been found beneficial in the treatment of many conditions including colds, flu, sinusitis, dry cough, fever with chills, nausea, digestive problems, Irritable Bowel Movement (IBS), menstrual cramps, muscular pains and aches, rheumatoid arthritis, acne, itchy, oily and irritated skin, dandruff, head lice, burns, insect bites, headache, stress, mood swings and emotional imbalance. Peppermint is known to balance the PH levels of the skin which may help balance the production of excessive oils of the skin. Also the astringent, antiseptic and anti-inflammatory activity of Peppermint may help diminish the appearance of acne, black heads, rashes and redness. Simply mix 2 drops of Peppermint Oil into your regular face wash every morning and at night. One drop of the oil can also be mixed into a moisturizer and applied onto the affected area overnight for acne or skin rashes. According to researchers, Peppermint has vasodilatory effects which may help in the dilation of constricted blood vessels - one of the common triggers of headaches and migraines. When you feel a light headache or migraine is coming on, apply a small amount of Peppermint oil on the temples, forehead and back of the neck to help alleviate the pains. If any kind of irritation occurs, Peppermint Oil should be diluted in extra virgin olive oil. Mix 3-4 drops of Peppermint Oil into one tablespoon of olive oil. Based on the sensitivity level olive oil amount can be increased. Peppermint is known to be a natural insect repellent. Therefore, applying Peppermint Oil thoroughly into the hair for about 30 minutes before taking a shower may help get rid of head lice. This should be repeated three times a week. If you experience any skin irritation, you can try diluting the Peppermint oil with a small amount of olive oil. To get rid of nits (lice eggs), use a very fine wooden comb twice daily especially right after taking a shower. A few studies have shown that enteric-coated Peppermint capsules or fresh Peppermint leaves may relieve IBS symptoms. It can also relax the gastro-esophageal sphincter that may help with bloating, gas and indigestion by promoting burping and belching. For IBS, taking 1-2 enteric-coated peppermint capsules twice daily may be beneficial. The enteric-coated capsules don't release peppermint in the stomach but delay the release of menthol until it reaches the small intestine. Large amounts of menthol in the stomach can cause irritation and acidic reaction in the stomach. The carminative properties of Peppermint may help with indigestion, bloating, flatulence and upset stomach. Simply drinking one cup of peppermint tea 2-3 times daily may be helpful. If you have heartburn or are being treated for acid reflux or GERD, do not take peppermint. Peppermint is known to relax constricted muscles. Therefore, drinking one cup of Peppermint tea 2-3 times daily during the menstrual cycle may help soothe menstrual cramps. Peppermint has analgesic and anti-inflammatory activity which may help with muscular pains and arthritis. Simply apply Peppermint Oil onto the affected area 2 to 3 times daily. In case of any kind of skin irritation, Peppermint Oil can be diluted into extra virgin olive oil. For strained muscles after strenuous workouts or sports, adding 6-10 drops of Peppermint Oil into warm bath water can relax and soothe strained muscles. The decongestant, expectorant, antiviral and astringent properties of Peppermint may help soothe sore throats and relieve dry cough, cold and nasal congestion. For nasal congestion, sinusitis, cold, flu and asthma, drinking peppermint tea and inhaling its vapours from the tea may help. Simply steep one teaspoon of peppermint leaves in a boiling cup of water for 5-8 minutes. Strain out the leaves and add honey for sweetness if desired. Drink this tea and inhale the vapours from it while drinking 2-3 times daily. For dry coughs drinking Peppermint tea and massaging Peppermint oil on the chest two to three times daily may help since the Menthol in Peppermint thins the mucus, lubricates the respiratory tract and helps bring out the thick and dried phlegm from the lungs and bronchi. Recent studies have shown that aromatherapy using peppermint oil may help relieve anxiety, stress, emotional imbalance and stress-induced headaches or migraines. 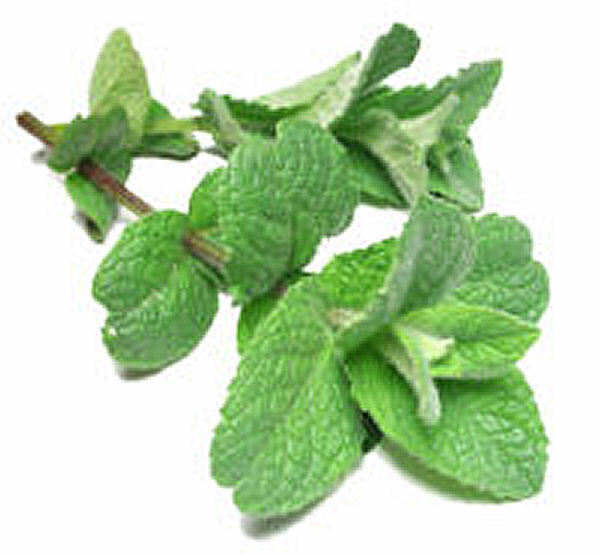 Simply light Peppermint essential oil in a diffuser or burner and relax in an easy chair nearby for 30 minutes. While you are inhaling peppermint aroma, breathe in through the nose and out the mouth and let your body loosen and relax. Listening to any of your favourite natural spa music can add to the relaxation. Repeat this aromatherapy at least 3 times a weak. What are the Side Effects of Peppermint? Peppermint or its oil should not be consumed if you are being treated for gastroesophageal reflux disease (GERD), heartburn, acid reflux, hiatal hernia, and gallstones. It is not recommended for infants, or women who are pregnant or breastfeeding. Peppermint should be avoided if you are taking cyclosporine or any other medication for preventing the rejection of transplants. It is advised to regulate your blood sugar and blood pressure levels when taking Peppermint therapeutically for longer periods because it may lower blood sugar or blood pressure levels. To avoid any kind of skin irritation or allergic reaction it is recommended to do a skin test before applying it for therapeutic purposes. If any kind of irritation occurs, stop using Peppermint Oil or try diluting it into extra virgin olive oil. Fresh peppermint is available at most grocery stores. It can also be found in dried form, oils, tablets, creams, and ointments at many herbal food stores and online. Learn how to treat anxiety and panic attacks using some simple techniques. Learn how to manage stress with some simple stretches and breathing techniques. Find home remedies for this painful condition that affects millions of people. Get simple treatments for this common scalp problem. I thoroughly enjoy using peppermint oil on my scalp, I do this daily and my hair has grown much thicker. It smells nice and fresh too. I would recommend it to anyone who’s having hair loss problems. Is peppermint good for cancer? Peppermint Essential Oils as well as the Leaf are essential to good quality of life and relief of chronic arthritis. I have used the oil as well as drank organic peppermint leaf tea for over two years and found excellent results in all above mentioned.